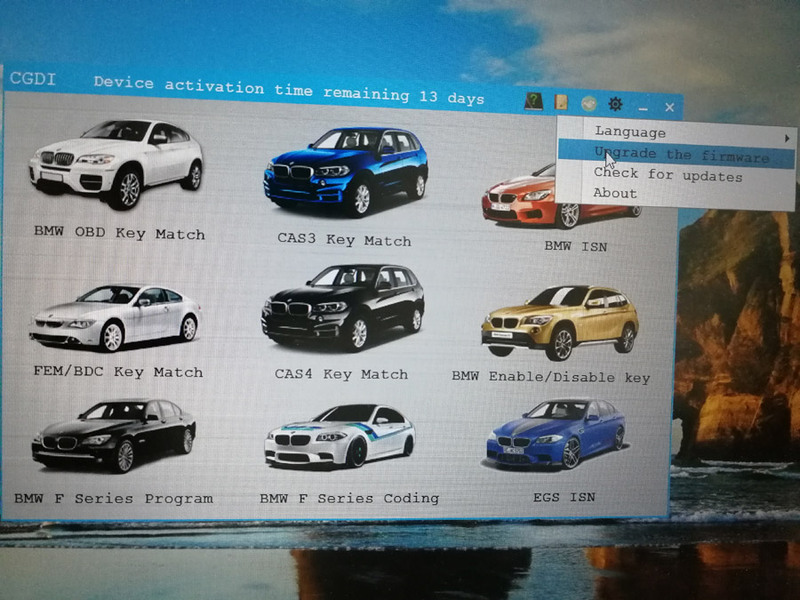 1.Increase BMW F series coding, restore coding and backup coding. 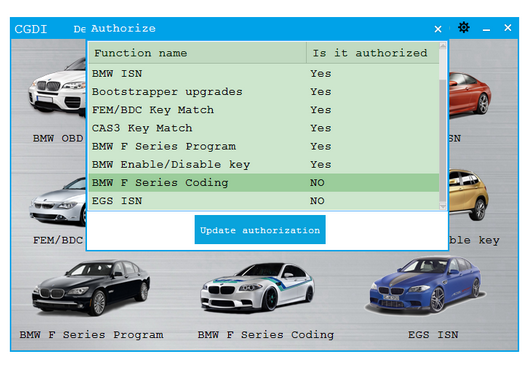 3.Add read/write BMW CAS ISN (4 bytes) feature. 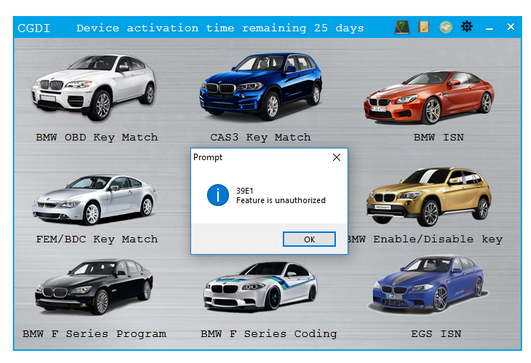 4.Modify software auto activation display, increase user interaction. 5.DEM wiring diagram optimization provides full-screen display. 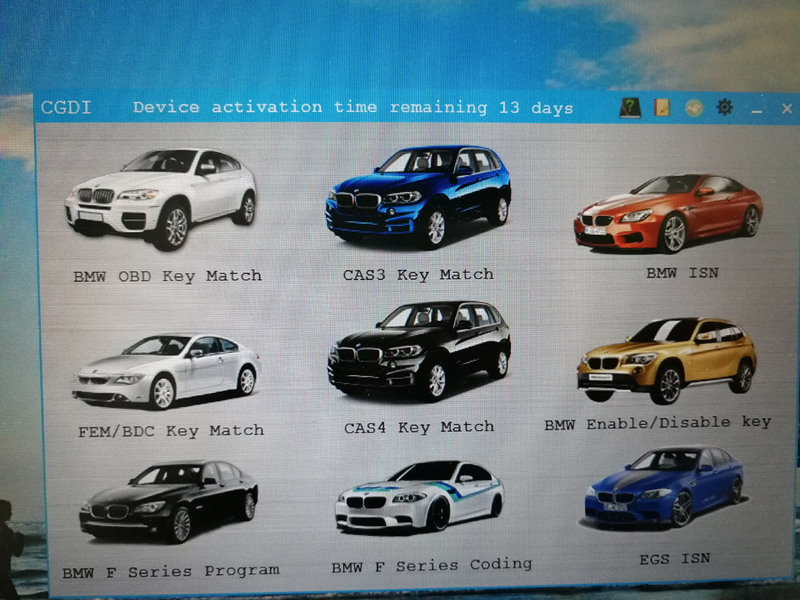 6.BMW OBD key matching and FEM/BDC compatible small screen display. 7.Modify CAS4 key whether display error. 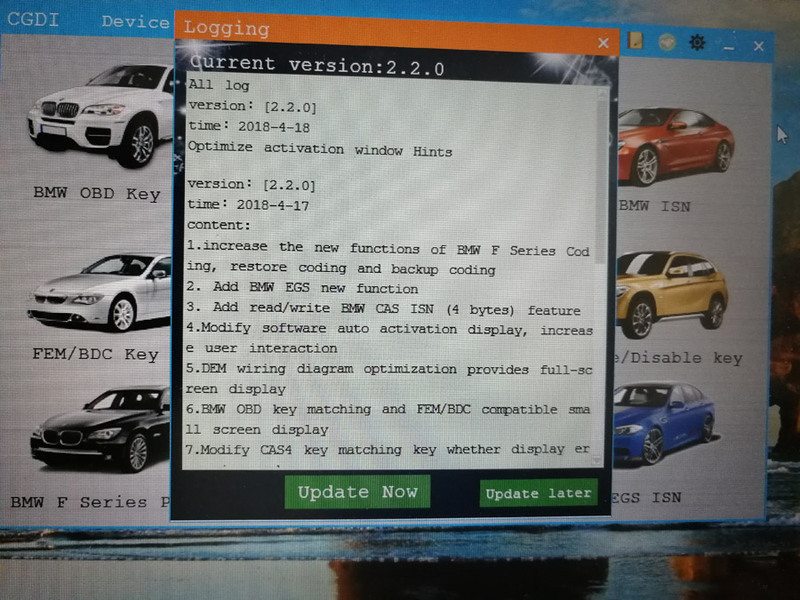 Just click on the setting icon then “Upgrade the firmware” for newest update V2.2.0. 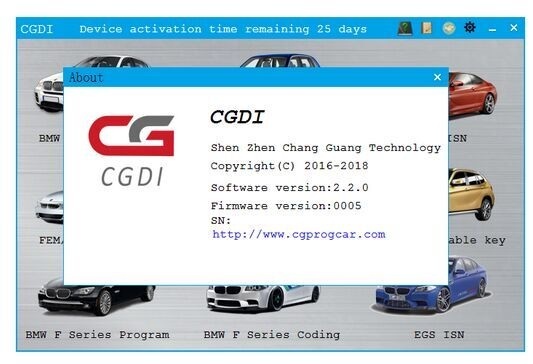 However, when everything goes fine, you find this “BMW F series Coding” is not authorized and “EGS ISN is not authorized”.